"Our good friend CrackBerry Kevin got to go hands-on and do a full BlackBerry Playbook review today - including a one-on-one with Apple's iPad - and I got dragged along as camera guy." 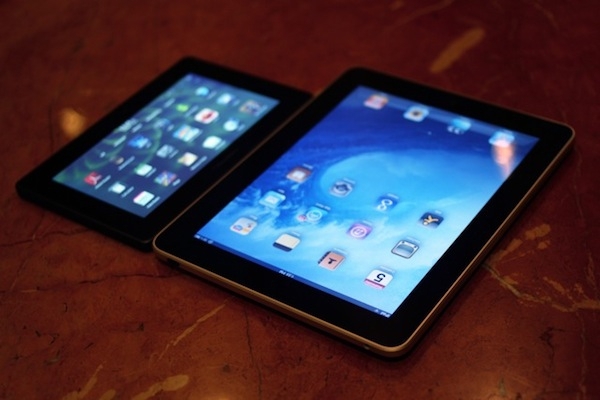 This is a pretty good evaluation of the BlackBerry PlayBook as compared to Apple's iPad. I'd take it with a grain of salt given that it's from a self-professed BlackBerry fan, but it still provides some context for those evaluating both devices. Personally, I'm not sold on the 7" inch screen size, but I also haven't had a chance to play with a tablet of that size. What do you think: is 7" too small for a tablet computer?